Michael Sachs and Judith Schossboeck from the Centre of E-Governance are currently resposible for evaluation of a large-scale youth eParticipation project. 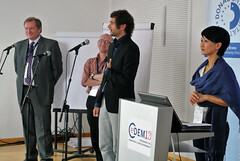 In order to draw on expertise of the experts present at CeDEM13 and to refine the intended evaluation frameowork, a workshop was held. As introduction, the OurSpace project and the platform was introduced to the participants, and thereafter factors of success and failur of eParticipation projects were identified, both on a general level and with view to experience with own projects. The following is a documentation of the parameters defined in the workshop as well as the discussion. The topic has to be relevant/of interest/need-based for the target group. A topic of contemporary conflict can sparkle interest. Accessability – also related to device. Also mobile options should be provided. This project uses ICT to empower citizens in East Africa. The network consists of 7 partners. The project focuses on including women and young people into decisions taken in the political and societal sphere. The ENGAGE project (FP7) aims to provide an infrastrucure for open, linked governmental data to be used both by citizens and the research community. 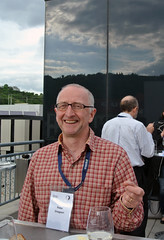 The platform is currently in beta status and feedback from the CeDEM13 conference will be included in further development. KidsNotSuits is a website that focuses on gighting corruption and mismanagement in public bodies and public project. The discussion addressed varius aspects of the problem and different approaches to solutions in different countries were discusses.